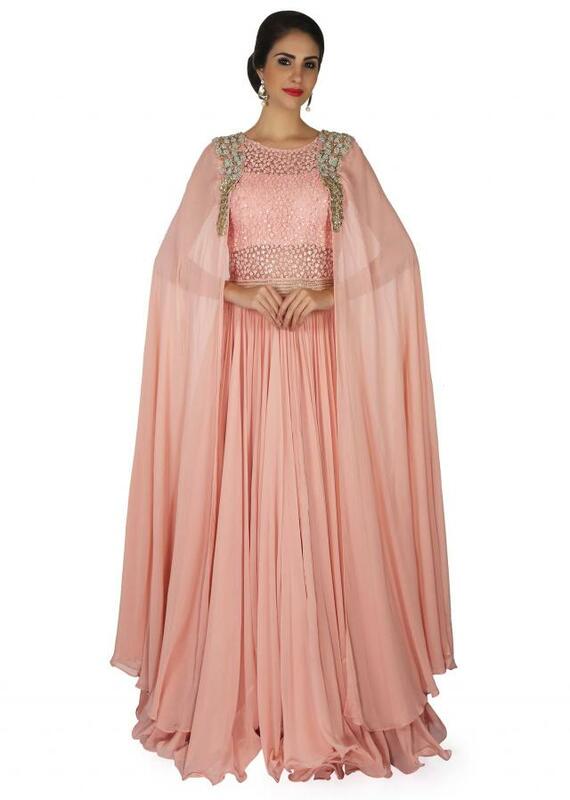 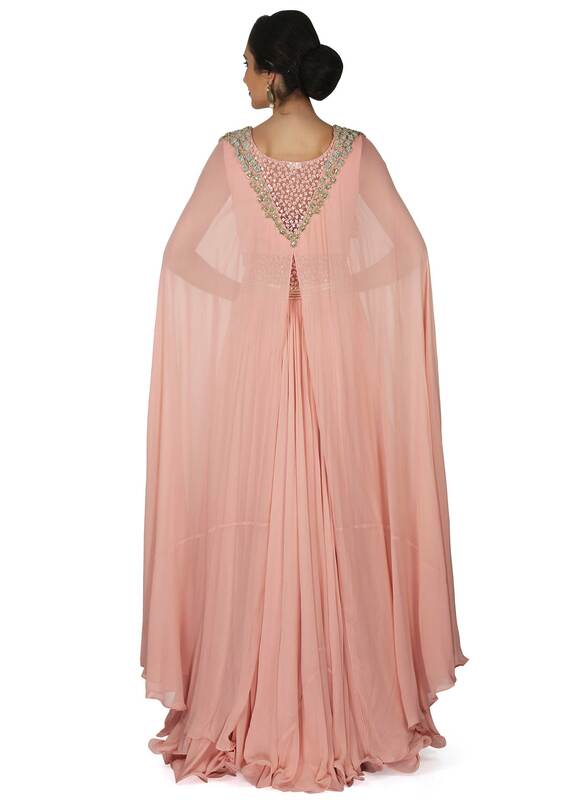 Light peach gown featuring in georgette. 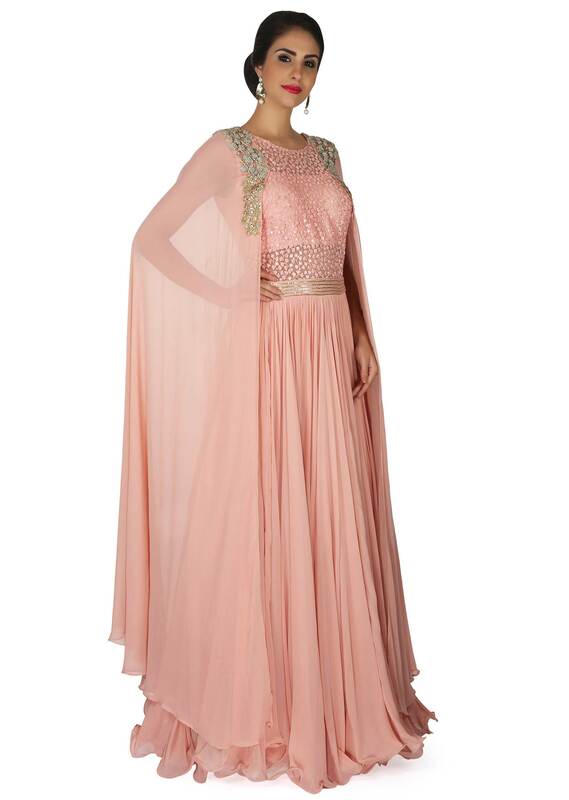 Bodice is embellished in thread embroidery along with french knot embroidery. 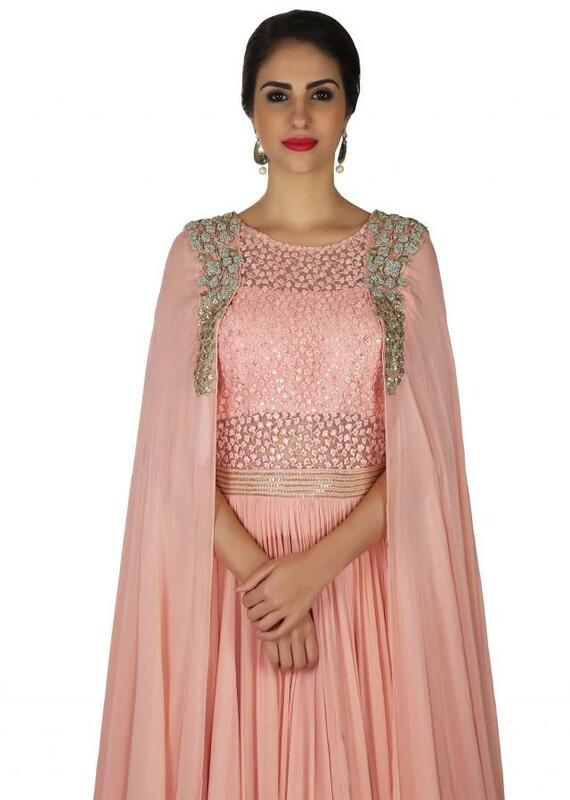 Enhanced in attach fancy cape in georgette.